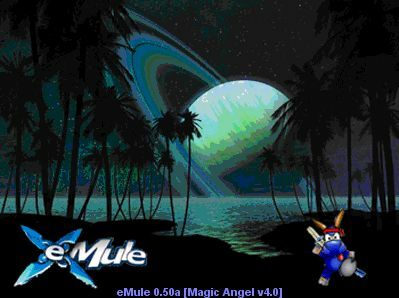 In year 2006 started MagicAngel, referred as "MA", nicknamed "magic angel", as a eMule Mod which is based on MorphXT. The original author is sfrqlxert. A later test version was released 2009 in version 3.8 alpha2 by ZZUL Plus Modder, Gomez82. Finally on February 12, 2011 brought us YumeYao from RyanVM.net another stable release. MA 4.0 has been uploaded to the Magic Angel's Sourceforge project. I believe there will be soon an update available with bugfixes.